Porto’ s two largest hospitals are Hospital Geral de S. João and Hospital Geral de Santo António. Both have 24-hour A&E services. There are also numerous public and private clinics and health services available in the city, some of which are also open 24 hours. For private healthcare you must either pay all the expenses or have a valid health insurance. In the public sector you only need a valid EHIC if you are a EU citizen or the PB4 form if you are Brazilian. In these cases users pay a small fixed fee. As in most European countries, the EMERGENCY number is 112. The most important security forces in Porto are PSP – Polícia de Segurança Pública (Public Safety Police) and GNR – Guarda Nacional Republicana (National Republican Guard). PSP takes care of urban areas and GNR tends to operate outside the city. There are also other police forces, including GNR-BT (the traffic brigade), PJ – Polícia Judiciária (responsible for criminal investigation) and Municipal Police. Rubbish is collected Monday to Friday after 8.30 pm. Câmara Municipal do Porto (Porto City Hall) is responsible for this service and residents are asked to leave their rubbish, securely packaged and ready to be collected after that time. Putting rubbish out before 8.30 pm may lead to a fine. There is also an extensive network of Ecopontos, in which appropriately sorted household rubbish can be deposited separately for recycling purposes. It is easy to get to Porto and even easier to get around it. Train, bus, metro, plane and even cable car are available as part of a modern transport system designed to meet every need of residents and visitors. STCP – Sociedade de Transportes Colectivos do Porto is responsible for urban public transport in Porto metropolitan area (buses). You should enter the bus at the front and leave at the back. 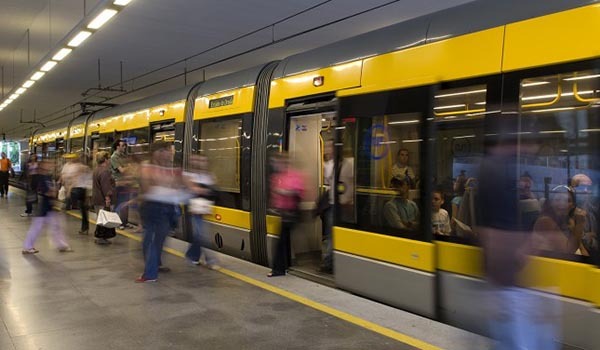 The most common way of using STCP is Andante a system for intermodal travel which allows you to use the same card for STCP buses, Metro do Porto (metro), CP (trains) and other services. Cards can be purchased at various STCP selling points (including Andante shops), stationers and kiosks. A single-trip ticket (Agente Único) can be bought on board, but it will cost you substantially more. The Porto Metropolitan Area is also serviced by a metro line. Metro do Porto links places within the city and with neighbouring town. It operates five lines: Line A: Estádio do Dragão – Senhor de Matosinhos; Line B: Estádio do Dragão – Póvoa de Varzim; Line C: Campanhã – ISMAI; Line D: S. João Hospital – Santo Ovídio; Line E: Estádio do Dragão – Airport; and Line F: Estádio do Dragão - Fânzeres. You should also use the Andante card for the metro. There are two different versions: Andante Blue, for occasional use, and Andante Gold, personalized for regular use. Both can be used indefinitely for an unlimited number of journeys on the network. You have to validate your ticket every time you use the Porto public transport system. To do so, you hold your Andante card less than 10 centimetres from the reader. A green light means your journey has been validated. Monthly subscriptions follow the same rules. Inland travel is mostly done overland. There are bus services to many different locations provided by a number of companies, and by the train company (CP. You can also travel by plane between the country’s airports, including the Madeira and Azores islands. Francisco Sá Carneiro Airport in Porto is the second largest in Portugal and has the most spacious terminal. Over the last few years this modern airport has seen a huge increase in passengers and flights at European level, thanks to the low cost companies - in particular Ryanair and Easyjet. In your spare time, you can also book excursions by bus, boat (different kinds of trips on the River Douro), tram, cable car or even a helicopter. Whether you are coming to Porto for leisure, visiting prior to studying or working here or looking for temporary lodging, youth hostels and camp sites are much cheaper than hotels. You will need a youth hostel card or a camping card. Porto Pousada da Juventude (Youth Hostel) is in Rua Paulo da Gama. The nearest camp sites are: Parque da Prelada (Rua Monte dos Burgos, Porto), Angeiras (20 km from Porto), Medas (Gavinho, Gondomar – 30 km from Porto), Solverde (Espinho – 17 km from Porto) and Marisol (Madalena, V. N. Gaia – 10 km from Porto). All hotels and catering establishments, bars, cafes, etc. have a complaints book (also known as “Yellow book”). If you wish to make a complaint you must show an identification document. For specific Youth Support you can go to IPJ – Instituto Português da Juventude (Portuguese Youth Insitute), which is responsible for issuing the Cartão Jovem (Youth Card) and for running Youth Hostels, as well as many other activities and publications. Apart from the libraries in all the University of Porto’s Faculties, there are various libraries open to the public, most of which are run by Porto City Hall. The main libraries in Porto include Biblioteca Pública Municipal (Public Municipal Library, Rua D. João IV), Almeida Garrett Library (Palácio de Cristal Gardens), the Musical Library (Rua Cândido dos Reis) and the Children’s Library (Praça do Marquês). Municipal libraries can also be found in Matosinhos and Vila Nova de Gaia. Opening hours differ from library to library. Porto’s cultural life has always been particularly active, so as well as the bookshops and stationery shops that operate in nearly all the University’s schools, quite a few more are scattered around the city Several of them are well known nationally and internationally. A number of tourism offices around the city offer all the usual services. The main one is next to the City Hall, but you can also find offices across the river in Gaia (linked to the Oporto Convention Bureau), in Praça do Infante, and an AICEP office in Praça D. João I. Tourist information offices can also be found in the railway stations and at the airport. Porto is a trading city, well known for its countless shops and commercial outlets. Santa Catarina, Boavista and Cedofeita have a bustling commercial life. Besides these areas, there are many shopping centres, both in the city centre and in the outskirts, including some retail parks. A number of more-or-less organised periodic fairs where you can buy just about anything are held in various places. There are also permanent markets in Porto and in many other nearby towns. In keeping with its trading tradition, Porto still has traditional functioning markets. The best example is Mercado do Bolhão, a wrought iron building in Rua Sá da Bandeira. Usually markets are open Mon-Fri, 7am-5pm and Saturdays 7am-1pm.